In 1744, the Gentlemen Golfers of Leith created a list of golf rules that is now the earliest surviving record of its kind. There were rules regarding “holling” and “lyes” but no regulations regarding attire. The same clothing was generally worn for all sports, and that usually consisted of suits and skirts. In the 1900s, some golfers wore the short, loose pants commonly referred to as “knickers”, but that’s about as daring as it got. 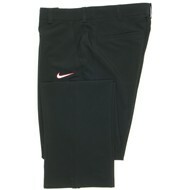 Two decades later, however, athletic clothes started its transition into more practical and casual designs. Golf apparel soon established its own place in the fashion world, though like any fashion style, it continues to change with the times. 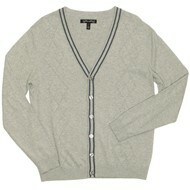 By the 1920s, sweaters had replaced jackets on the golf course and women began playing in skirts with shorter hemlines. The earliest depiction of a woman playing golf in knickers appeared in 1921, but that would not have met the approval of most country clubs. Country clubs’ dress codes also required men to wear collared shirts. That led to the rise of the polo shirt in the 1930s, as it mimicked the lightweight, movable knit of a sweater but still had the necessary collar. For women, golf apparel changed dramatically during the 1950s and '60s. More and more golf clubs allowed women to wear Bermuda shorts and sleeveless shirts. Khakis and Bermuda shorts began to take over men’s golf apparel as well, thanks in part to professionals like Arnold Palmer and Gary Player. Golf clothes entered a color explosion in the 1970s. Jack Nicklaus, Steve Ballesteros, Nick Faldo and other professionals showed up on tour wearing brightly colored sweaters, socks, polos and pants. 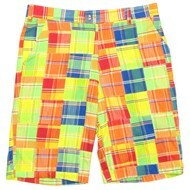 Argyle and plaid patterns in clashing hues were now fashionable. The over-the-top trend earned a backlash in the late 1980s. Ashworth Golf was established in 1987 precisely to fulfill the need for more subtle and versatile golf clothes. Nike started producing its own golf apparel around the same time. Curtis Strange showed off the brand’s sleek approach to golf wear when he won the U.S. Open championships in 1988 and 1989. The 1990s and 2000s was a period of corporate change in the golf world. Nike Golf reached a turning point in 1996 when it signed an endorsement deal with an up-and-coming golfer named Tiger Woods. As Woods’ success skyrocketed, so did Nike’s. Woods quickly gained his own line of Nike golf apparel and equipment. 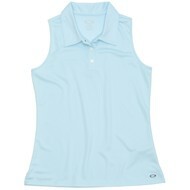 Other general athletic brands introduced their own golf apparel. One of these was adidas. The brand offers its own line of clothes and accessories that often use its trademark ClimaCool technology, but adidas Golf became more notable in 1997 when it bought golf equipment maker TaylorMade and licensed its name to golf hats and other accessories. A year later, the popular golf shoe company FootJoy added shirts, outerwear, and socks to its own market. Golf apparel companies continued to change hands in the next decade. Callaway licensed its name to Ashworth to create Callaway Golf Apparel in 2002. Ashworth was then bought by adidas-Taylor Made in 2008. However, the new millennium began with a surprising return to the past. Loudmouth came onto the scene in 2000. The company both paid tribute and parodied the flamboyant golf pants of the 1970’s with its selection of even more brazen colors and patterns. Today, golf apparel is designed for both high performance and high fashion. Golf itself has changed into a more athletic event, and its clothes grew more accommodating to players’ movement and comfort. Changing styles have also reflected changing social attitudes and fashion trends. As all of these continue to evolve, golf apparel will follow suit.